My blog posts are really not going in any specific order at the moment, they’re a bit higglety pigglety however it just reflects on normal life. So I can’t remember exactly when but it was around a week or so, we took LPV to Thomas Land, I was desperate to take him since I wasn’t present when he met Thomas in Holland. We packed up two cars like we were going away for a week. Me, LPV, his aunt, uncle, cousins and grandma. 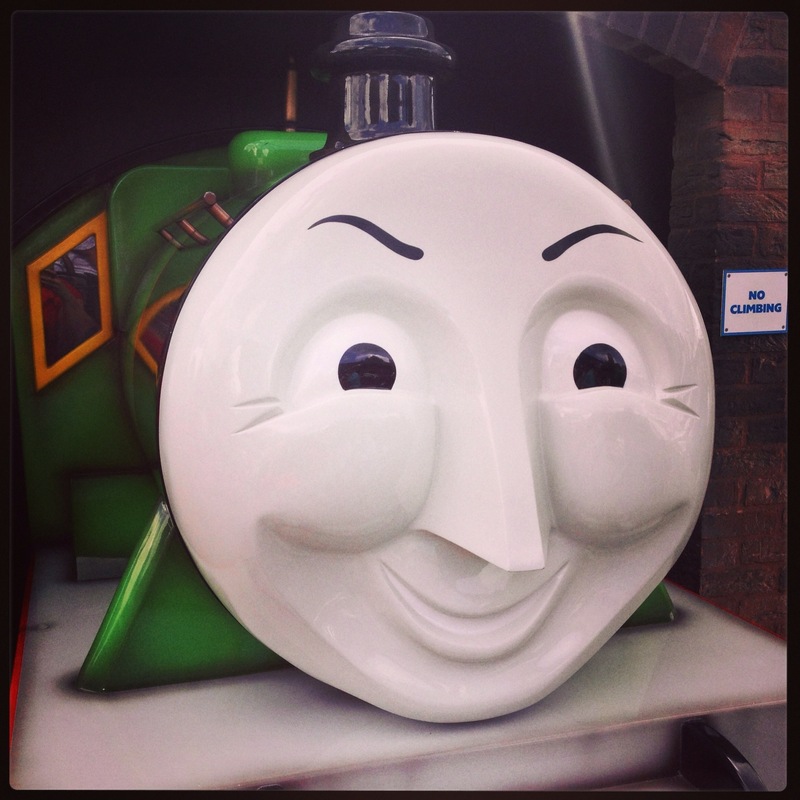 It was a long drive from Bristol to Drayton manor on a muggy humid day, I have to be honest I don’t think I’d make the journey so lightly if I had my time again. Anyway we got there and LPV’s eyes almost popped out of his head, he was actually very overwhelmed and had a bit strop but it was sorted and we headed for Thomas and Annie & Clarabel for a wee train ride. The engines pulling the trains are out of this world, they were so exact it was like you we’re on Sodor Island. They have a troublesome trucks roller-coaster that is small kid friendly, Harold helicopter ride, rides for really wee ones and one Cranky ride for the slightly older child. I have to admit I wasn’t expecting much from it but it was really good, I’m not sure if I would pay over £20 for it though that’s because we didn’t make the most of it. 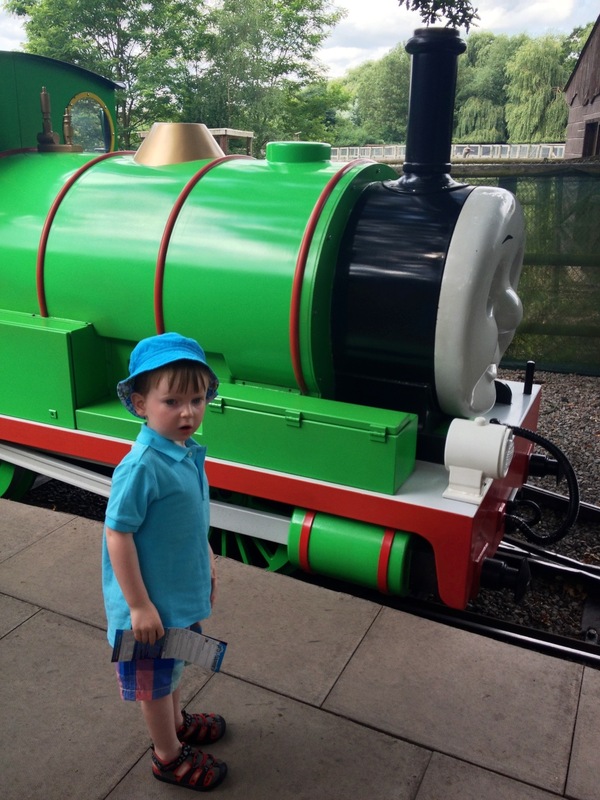 We couldn’t really, LPV was blind sighted by the Thomas & Percy train ride and had absolutely no interest on going on any other rides. I think that’s just his age, plus he was ill the next day so that probably accounted for the bad mood. They boast the worlds biggest Thomas shop, with, I have to say the worlds biggest prices. They were unbelievable £10 for a Thomas bucket and spade! However you could keep the children away from it if they’re kept really busy and you blindfold them on the way to the toilet. We did explore the rest of Drayton Manor, LPV was a wee daredevil and had a couple of trips on splash canyon. 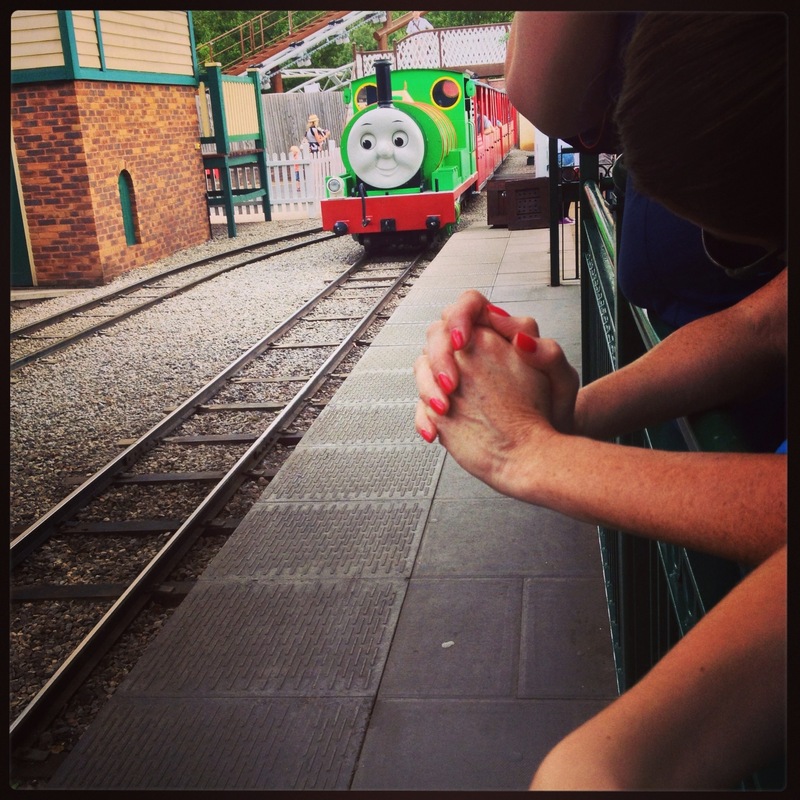 It is a great day out for a Thomas fanatic and for child who doesn’t really care either way, for us it was too far to go with a potty training 3 yr old. You’ll either love it or hate it! This is all my own opinions and views, not a sponsored post! Good job for not buying anything at the overpriced shop…!